Remove the spark plugs. Refer to Spark Plug Replacement. Remove the camshaft position actuator. Refer to Camshaft Sprocket Replacement. Remove both camshafts. Refer to Camshaft Replacement. Remove the valve lifter. Refer to Valve Lifter Replacement. For cylinder 1 and 4 set the crankshaft to TDC marking, cylinder number 1. Use the crankshaft balancer bolt. For cylinder 2 and 3, set the crankshaft BDC (180 degrees from TDC marking). Use the crankshaft balancer bolt. Wheels must contact the ground. Shift to 1. gear (MT) or park position (AT) and apply the park brake. 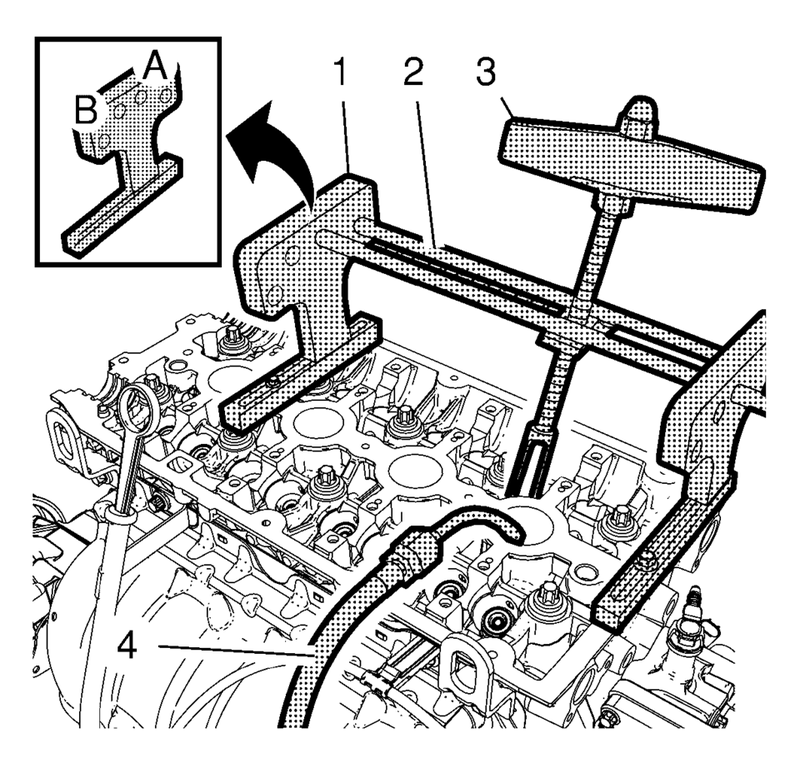 Install the 2 EN-50717–1 stands (1) to the cylinder head and fix them with the 547324 screws. Install the 2 J-43649-2 rods (2) and the EN-51717–2 compressor (3) to the B-side of the EN-50717–1 stands. Secure the rods with the 207649 clips then. 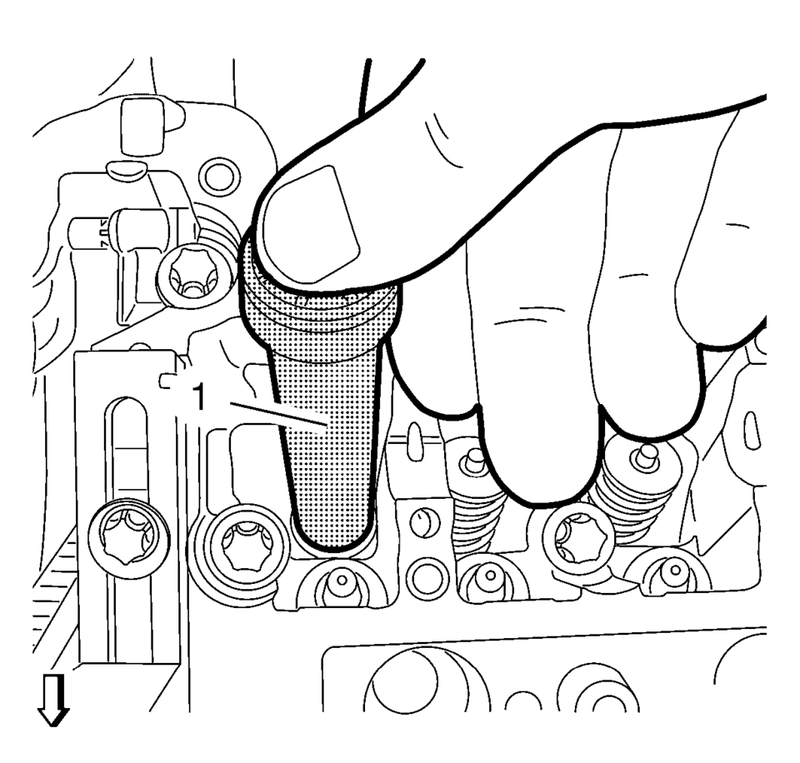 Install an suitable air pressure adapter (4) to the spark plug hole. Apply air pressure to the corresponding cylinder. 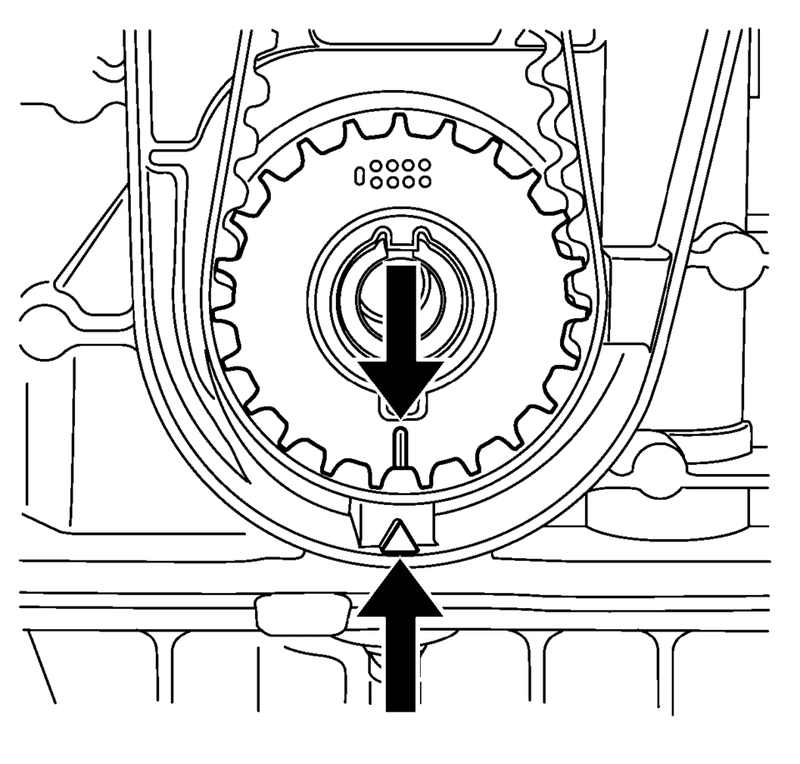 Position the EN-51717–2 compressor (3) so that its adapter proper contacts the valve spring retainer and pretension the compressor. Valve springs can be tightly compressed. Use care when removing the retainers and plugs. Personal injury could result. 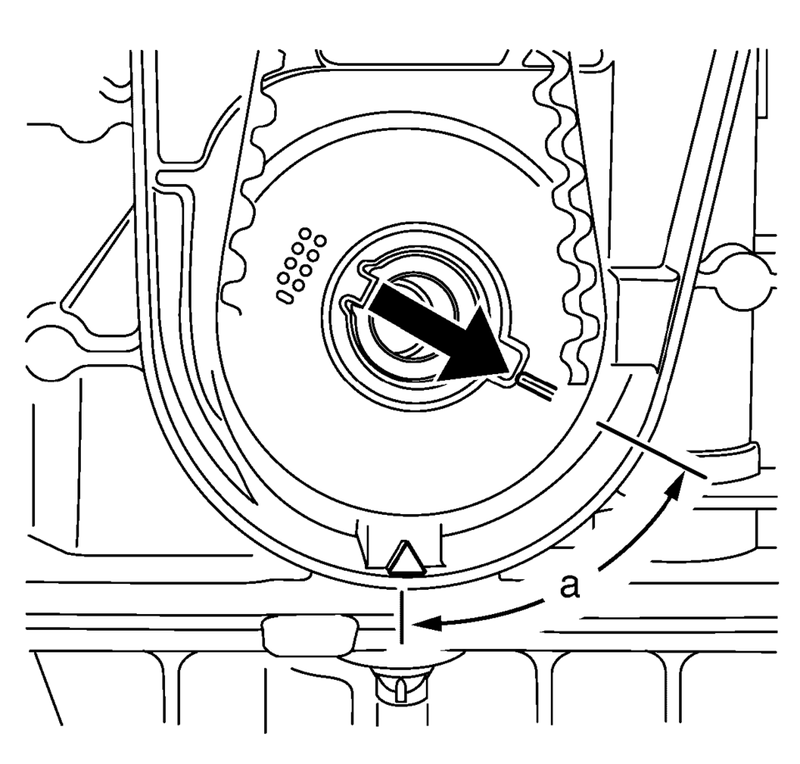 Apply pressure to the EN-50717–2 compressor to push down the vale spring retainer (1) and compress the valve spring (3) until the valve keys (2) are free from tension. Carefully remove the valve keys then. Release the tension from the EN-50717–2 compressor. 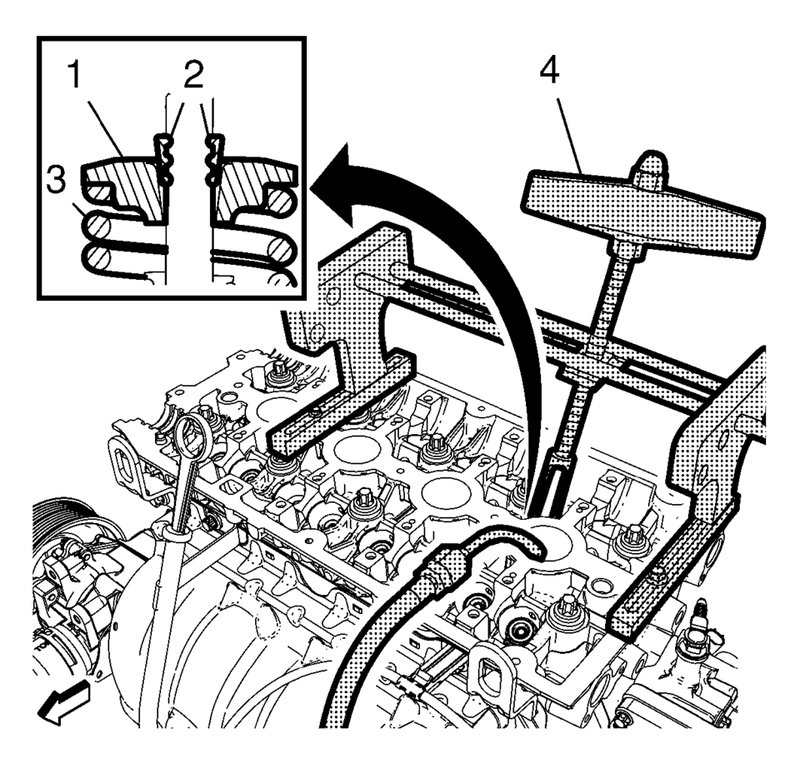 Remove the valve spring retainer (1) and the valve spring (3). 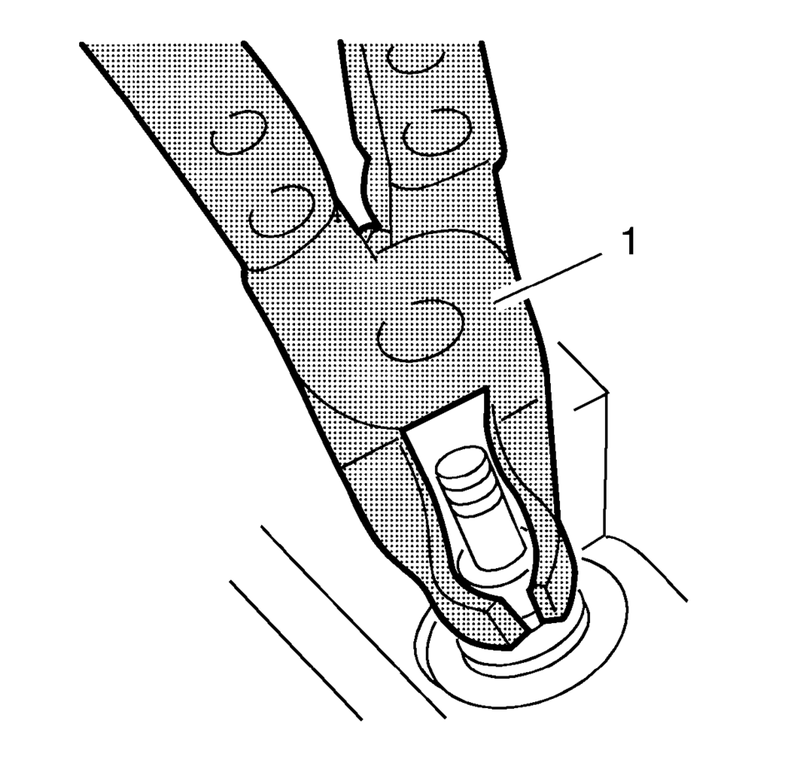 Remove and DISCARD the valve stem oil seal, using the EN-840 pliers (1). Lubricate the NEW valve stem oil seal with clean engine oil. Install the NEW valve stem oil seal, using the EN-958 installer (1). Loosely install the valve spring and the valve spring retainer. The valve stem keys must correctly seat in the valve spring cap. Engine damage may occur by not installing properly. 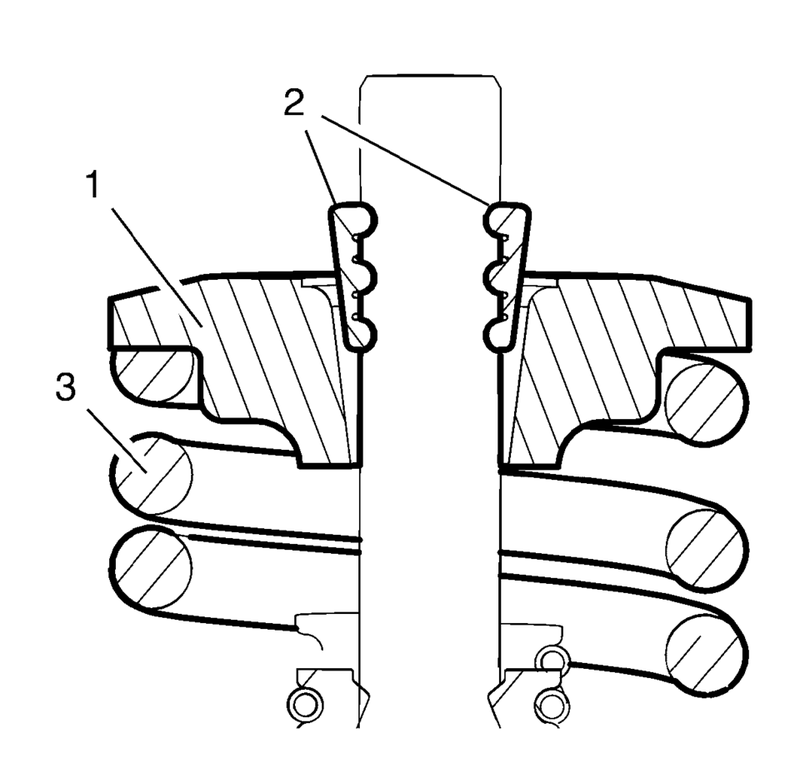 Using the EN-51717–2 compressor (4), push down the valve spring retainer (1) and compress the valve spring (3) until the valve keys (2) can be inserted. Carefully insert the valve keys then, so that they are proper installed to the valve stem grooves. Carefully release the tension from the EN-50717–2 compressor. Inspect the valve keys and valve spring retainer for proper seat. Repeat the procedure with the remaining valves and cylinders. Transfer the EN-50717–1 stands and the EN-51717–2 compressor as needed. Take care that air pressure is always applied to the combustion chamber of the treated cylinder. (a) before TDC. Use the EN-45059 meter and the crankshaft balancer bolt. Install the valve lifter. Refer to Valve Lifter Replacement. Install both camshafts. Refer to Camshaft Replacement. Install the camshaft position actuator. Refer to Camshaft Sprocket Replacement. Install the spark plugs. Refer to Spark Plug Replacement.